Tranquil or cosmopolitan beaches in technicolor blue and gold; whitewashed picturesque villages; romantic sunsets; glamorous lounge bars and vibrant clubs; traditional tavernas and elegant contemporary restaurants; ancient monuments, monasteries and churches; age old legends, culture and mystique; luxury resorts and suites in Paros; designer shops filled with all kinds of treasures. Our island indeed has it all. Right in the middle of the Aegean, endowed with a distinct natural beauty and ultra positive vibes, Paros is no wonder rapidly growing in popularity; capturing the hearts and imaginations of people from all corners of the planet. 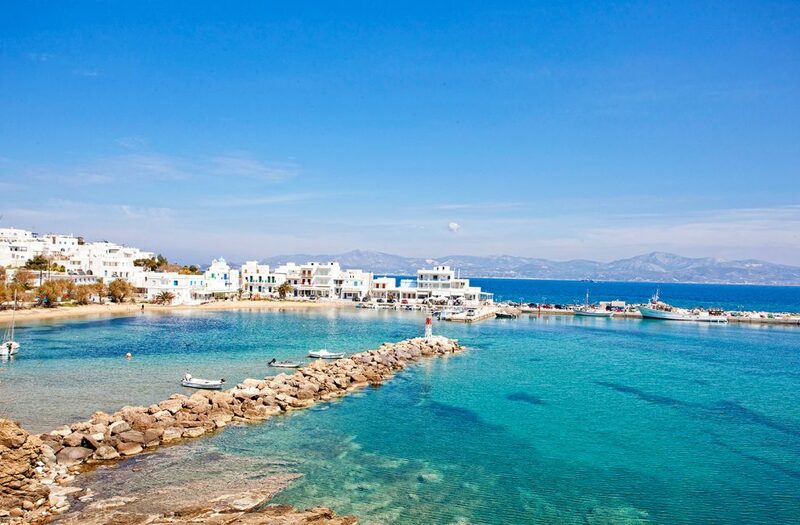 If you are about to holiday at this amazing island-and at the Yria Hotel & Suites in Paros– read on for some insiders tips and facts. And then use them to make the most out of your visit-and why not impress your friends, spouse or hot date! The first signs of life in Paros date from 4000 BC. It was then called Minoa and inhabited by Cretans. Some 3000 years later the Arcadians arrived and renamed the island after their leader, Parios. Nowadays, another Parios- Yiannis- who of course hails from his namesake island- is one of the most prominent Greek artists, aka “the love singer”, with an impressive career that spans over five decades. In fact you are bound to come across-and enjoy- his characteristically amorous recordings whilst on holidays! Paros, with its trademark strong winds, is a world class windsurfers destination. In fact for several years now the Professional Windsurfing Association has been organizing the world cup at Golden Beach and New Golden Beach, which are located about half hour’s drive from Yria Hotel & Suites in Paros, Parasporos. Paros is also a sailing enthusiasts’ heaven, as it boasts an incredible coastline with several virgin bays and quiet beaches with crystal clear, turquoise waters. Moreover its position at the heart of the Cyclades complex makes it an ideal base for exploring around. You don’t even need to be an accomplished seaman to enjoy this one of a kind experience; in fact there are professional skippers who organize sailing tours to the nearby islands. Until the previous century, inhabitants used an intricate network of dirt roads and trails to commute between villages. These are now well preserved trekking paths, which will give you the opportunity to uncover another, secret-wildly beautiful and untouched- side of Paros. For an “alternative” but equally enchanting day, try the routes from Lefkes to Archilochos and Marpissa; from the monastery of Agioi Anargyroi to Lefkes; Naoussa Monastiri to the lighthouse; Drios to Piso Livadi; or from Koukounaries to Naoussa. As all islanders, Parians, mythological ascendants of God Dionysus, that they are; loved to drink and dance since time immemorial. Traditional feasts were the highlight of the social calendar and the glue of the community. Good thing is that these primordial fiestas are still going strong up to today. Make sure not to miss out the Fish Festival in Alyki on August 6; for fresh fish, plenty of local wine and the native alcoholic drink suma. On August 15, the most important celebration of the Greek orthodox calendar takes place in the majestic church of Panayia Ekatotapyliany in Parikia. Following the religious formalities and the brass-band parading of the icon, there is a no-expense-spared fireworks display over the bay. On the 23rd which marks the Virgin’s ascendancy to heaven, Naoussa in its turn hosts another fireworks show: Albeit more modest but perhaps more atmospheric, as it is coupled with the torch-lit fishing fleet promenade; celebrating the repulsion of the notorious pirate Barbarossa in 1537. Should you find yourselves at our island on August 29, the panegyri at Ayios Ioannis of Lefkes combines merrymaking, devout spirituality and the most astonishing Aegean vistas. Amongst the island’s most coveted jewels is the Butterflies Valley, less than 6 km from Yria Hotel & Suites in Paros: A paradise- like biotope with cypresses, plane-trees, oleanders, carob trees and orchards; amidst which tiger moths set up housekeeping in July and August. Go there to experience tranquility and peace; and to get away from the tourist hordes of the high season. The above is but a small sample of the delights that await you at our island. In fact we could go on and on about its traits, attributes, hallmarks or hidden treasures. After all at Yria Hotel & Suites in Paros we aim to spoil you rotten; with our opulent accommodation options, and through our wealth of personalised services and tailor made tips and advice. Stay tuned for more!